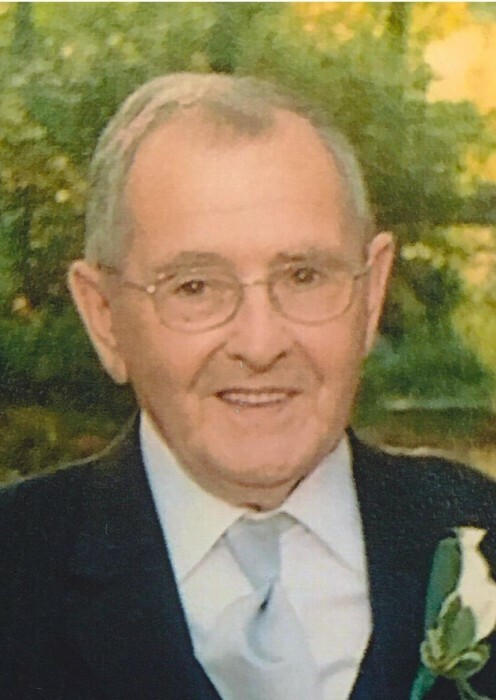 Leominster - Joseph G. Girouard, 90, of Leominster, died November 27, 2018, after a brief stay in Life Care Center of Leominster. He was born September 5, 1928, in Buctouche, NB, Canada, son of the late Joseph and Josephine (LeBlanc) Girouard. Joseph was a foreman at the former Union Products Co. He was a member of St. Cecilia's Parish. Joseph is survived by his wife of 65 years, Bertha (Nowlan) Girouard of Leominster, two sons; Raymond Girouard and his wife Brenda of South Dakota, Joseph Girouard Jr., and his wife Jessica of Ashburnham, two daughters; Huguette Leahey of Fitchburg and Diane Coulombe and her husband Robert of Leominster, along with his grandchildren; Brady Girouard, Luke Girouard, Ashley Arseni, Stephanie Maynard, Steven Girouard, Steven Leahey, Wayne Holmes, and Justin Holmes, and his great grandchildren: Calvin Arseni, Ivy Arseni, Katherine Murphy, Lana Girouard and Jasmine Girouard. He was predeceased by two children; Bernice and Raymond Girouard, and fifteen siblings. Joseph's funeral will be held Saturday, December 1, 2018, from Wright-Roy Funeral Home, Inc., 109 West St., Leominster, with a Mass of Christian Burial at 10:00 a.m. in St. Cecilia's Church,170 Mechanic St., Leominster. A calling hour will be held Saturday morning from 8:30 - 9:30 a.m. in the funeral home.